Monopoly, the great property trading board game is taking residence in Aberdeen, the stunning city of contrasts. 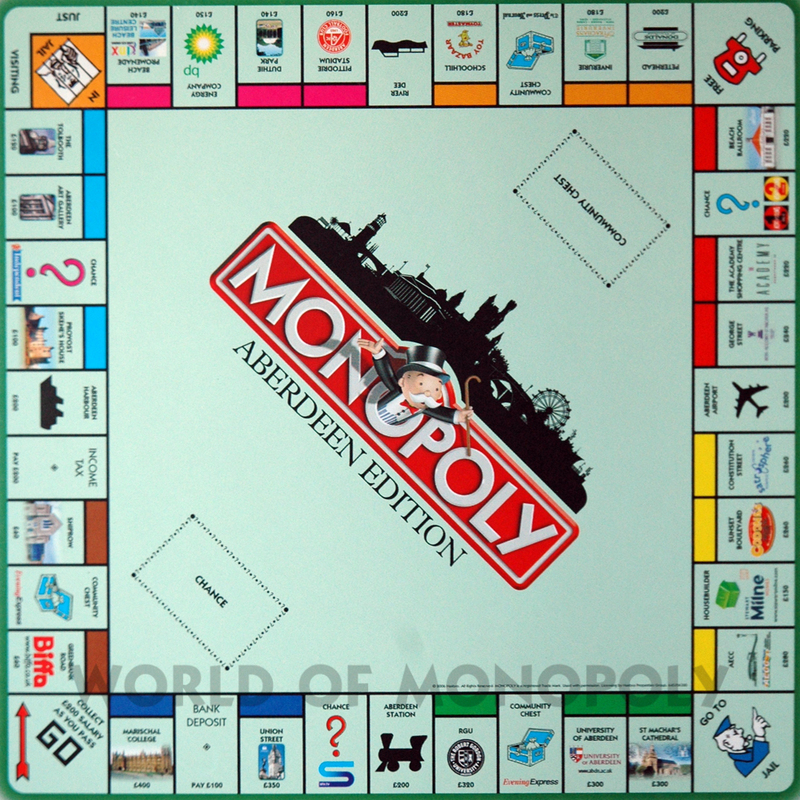 Steeped in history and renowned for its glittering granite, Aberdeen is a dynamic and forward thinking city and is known worldwide for supplying global energy. 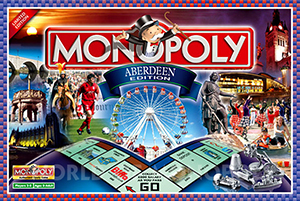 It boasts stunning architectural gems, such as Marischal College, the Town House, Aberdeen Art Gallery and the delights of Old Aberdeen, but city dwellers and visitors can also enjoy a wealth of top quality facilities including Codona's Amusement Park and Stratosphere Science Centre. Shoppers are spoilt for choice at The Academy shopping centre and Bon Accord St. Nicholas. 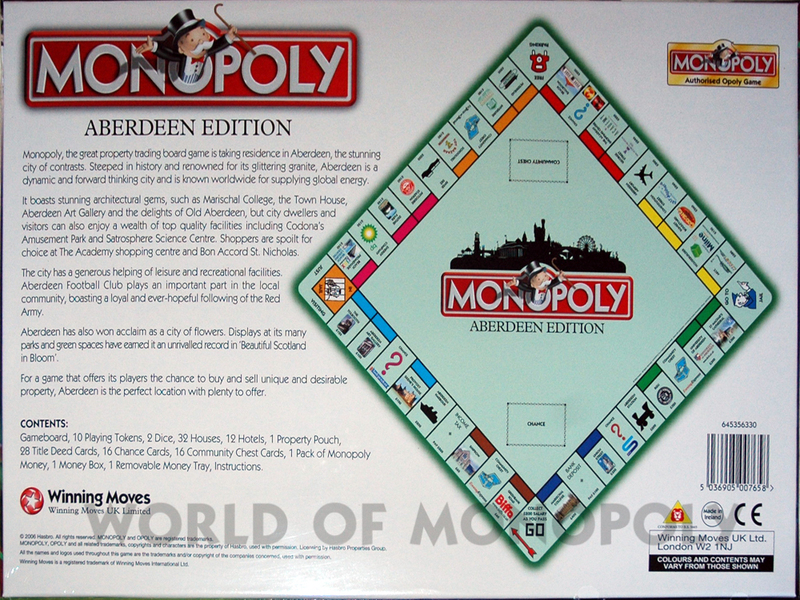 The city has a generous helping of leisure and recreational facilities Aberdeen Football Club plays an important part in the local community, boasting a loyal and ever-hopeful following of the Red Army. 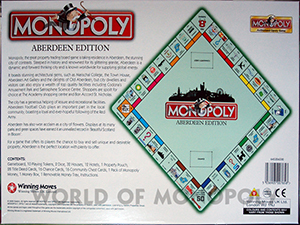 Aberdeen has also won acclaim as a city of flowers. Displays at its many parks and green spaces have earned it an unrivalled record in "Beautiful Scotland in Bloom". 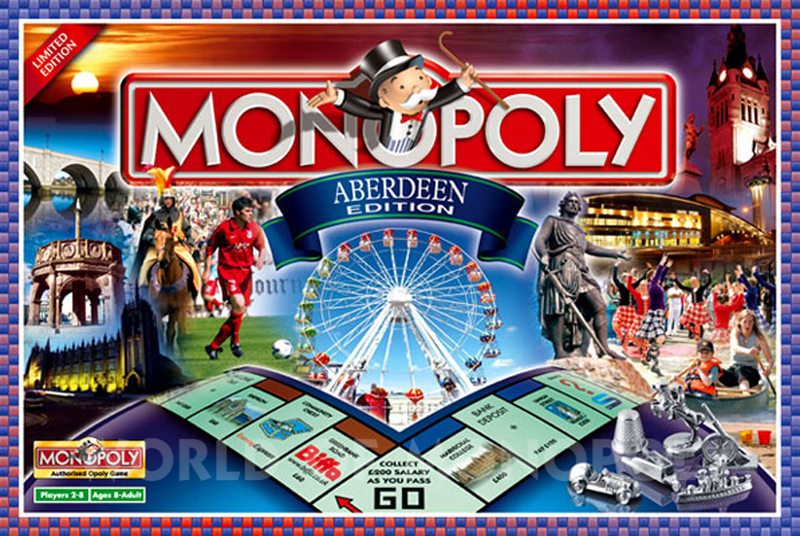 For a game that offers its players the chance to buy and sell unique and desirable property, Aberdeen in the perfect location with plenty to offer.